As the year’s ordinary Diet session nears a climax this week, debate is heating up over a bill Prime Minister Shinzo Abe characterizes as key to his growth strategy: the so-called casino implementation legislation. The bill spells out a raft of rules on the structure of Japan’s planned integrated resorts — nomenclature for casino resorts — and has ignited the ire of the opposition, as they face the prospect of it being forced through the Diet by Abe’s ruling coalition despite its widespread implications. The term integrated resort, or IR, refers to a comprehensive entertainment complex that, alongside casinos, incorporates facilities such as shopping malls, theaters, hotels and theme parks. Here are some key areas under discussion, with a detailed look into points of contention between backers and critics of the casino plan. Although Japan criminalizes gambling, the nation is home to an estimated 3.2 million gambling addicts, according to a 2017 health ministry survey. In face-to-face interviews with 10,000 randomly selected residents, of which 4,685, or 46.9 percent, provided valid responses, 3.6 percent were deemed to be currently addicted to gambling or to have been addicts at some point in their lives. The 3.6 percent figure stands out globally, going well beyond similar, if not directly comparable, statistics of 1.9 percent in the Netherlands, 1.2 percent in France and 1.1 percent in Switzerland. The biggest factor in their obsession is pachinko, which Japanese laws technically categorize as a form of entertainment rather than gambling. Pachinko is a huge market in Japan, having generated a whopping ¥21.6 trillion in 2016 according to the latest White Paper on Leisure. This naturally raises concerns that the establishment of casinos may further deepen Japan’s gambling addiction woes. 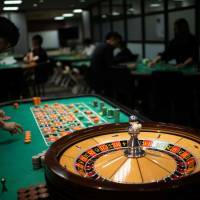 But the government insists this won’t be an issue, citing what it portrays as a model case in Singapore where a National Council on Problem Gambling study shows rates of “probable pathological gambling” have — contrary to popular belief — decreased since casino legalization, from 4.1 percent in 2005 to 0.9 percent in 2017. Tokyo attributes the drop to numerous steps taken by Singaporean authorities to strengthen anti-addiction measures in connection with the legalization. Japan’s government also maintains that casinos here will operate under the “world’s highest standard” with regards to forestalling addiction. Under the envisaged law, visits to casinos will be limited to a maximum of three a week and 10 a month. Customers who are residents of Japan will be required to present their My Number identification cards upon entry. And there will also be a substantial admission fee of ¥6,000. How effectively these regulations can discourage gambling addiction, however, remains open to debate, with critics saying there is no scientific evidence that capping the number of visits or imposing an entry fee are effective at keeping gamblers in check. Even assuming they are, the Japan Federation of Bar Associations questions the government’s assertion that Japan’s anti-gambling addiction measures will represent the strictest in the world, noting that in Singapore — which Japan seeks to emulate — visits are restricted to just eight times a month and incur a fee closer to ¥8,000. Casino legalization means a ban on private-sector gambling will be lifted for the first time ever in Japan — a historic policy shift in a nation where gambling has long been outlawed. Under the current Criminal Code, only gaming designated as state-run — namely horse, bicycle, motorcycle and motorboat races — are exempt. The rationale is that these types of gambling — originally introduced in the aftermath of the war to help revitalize local economies — meet certain criteria for overcoming their illegality, including their nonprofit nature. The horse racing law, for example, obliges local municipalities to use revenues from the race to promote their medicine, health, education and sports policies. Under the planned new law, casino operators will be required to contribute only 30 percent of their gross profits to the central and municipal purse, raising questions over the public benefit of the remaining 70 percent. 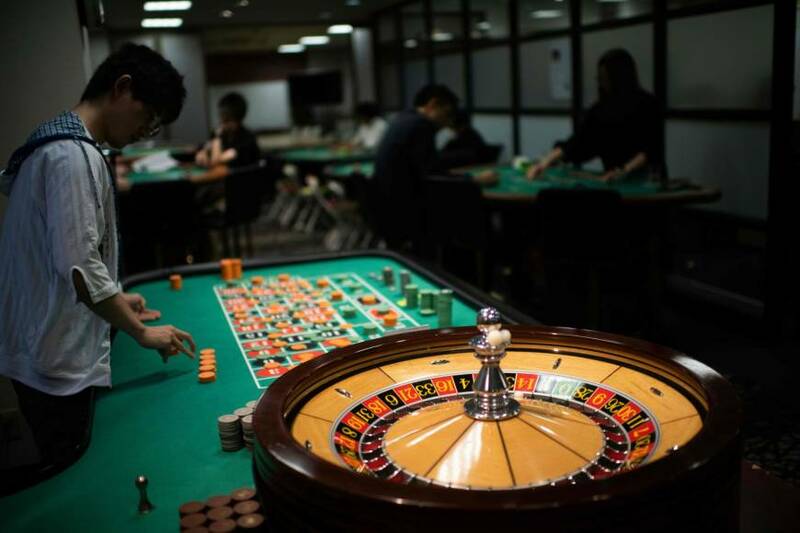 “If the 70 percent goes straight into the pockets of private-sector operators, how can this constitute a good enough reason to offset the illegality (of casinos)?” asked lawmaker Mikishi Daimon, of the Japanese Communist Party, during a Diet session last month. The opposition argues that the currently drafted casino framework is fraught with signs the government is prioritizing benefits for operators above the well-being of customers. Most indicative of this mindset, they say, is a planned system that would allow casino operators to offer loans to customers, thereby encouraging their spending. Cabinet Secretariat official Makoto Nakagawa told a Diet session in June that the system is designed to “make the gaming experience more entertaining for customers,” arguing that operators in North America, Europe and Asia do the same. Among those eligible for the credit system will be tourists as well as high-income Japanese customers who can afford to deposit a “substantial” amount of money beforehand. The loans must be repaid within the first two months. Defaulters will be penalized with an annual interest rate of 14.6 percent. Critics say the credit system essentially exploits the inherent desire of gamblers on a losing streak to keep playing in the hope of scoring a last-minute victory, heightening the risk of them succumbing to gambling addiction and accumulating multiple debts. They also point out the planned system will be exempt from the current money-lending business law that stipulates individuals cannot borrow more than a third of their annual income, thus effectively enabling casino operators to decide at their own discretion how much can be loaned — possibly beyond the amount deposited in advance. Another sign is the fact the government scrapped an initial upper limit on the floor space of casinos. A government task force originally recommended a maximum limit of 15,000 square meters to keep casinos under control, only to drop the restriction at the last minute and merely state that a casino must not occupy more than 3 percent of the entire IR space in which it is housed. That basically means the bigger the IR gets, the bigger its casino can become. In fact, even with this 3 percent regulation, a casino double the size of that in Marina Bay Sands — an integrated resort in Singapore — could be built under a plan drawn up by Osaka, topping what is regarded as one of the biggest casinos in the world, said Ichiro Tanioka, head of Osaka University of Commerce. By scrapping the 15,000-sq.-meter restriction, the government wanted to stave off the possibility of the space constraint undermining the potential of casinos to boost tourism, Nakagawa said. The government is touting the IR facilities as — first and foremost — a boon for tourism to Japan. “We will take advantage of Japan’s abundant nature, culture, history, tradition and cuisine and maximize their allure to a point where our IRs will become one of a kind — unparalleled in terms of scale and quality and highly globally competitive — attracting tourists from all over the world,” said land minister Keiichi Ishii, who is in charge of the proposed IRs, at the Diet. The opposition, however, says casinos will hardly be helpful to this end, questioning the extent to which they are appealing to foreign tourists. A 2017 survey jointly conducted by the Development Bank of Japan and the Japan Travel Bureau Foundation pointed to tepid interest in Japan’s casinos among those overseas, they say. Targeting residents from 12 countries and regions, including South Korea, China, the United States, the United Kingdom and France, the survey asked them which IR facility they would be most keen to visit during their trip to Japan, finding that only 7 percent chose casinos, whereas 46 percent voted for shopping malls, 43 percent for hotels and 40 percent for theme parks. Moreover, multiple municipal and private-sector surveys project that Japanese nationals will be much more significantly represented than visitors from overseas among IR clientele. An estimate conducted by the Osaka Prefectural Government, for one, shows that of about 13 million people considered likely to visit a hypothetical IR facility on its Yumeshima man-made island in 2024, an overwhelming 9.38 million, or 72 percent, will be from within Japan.